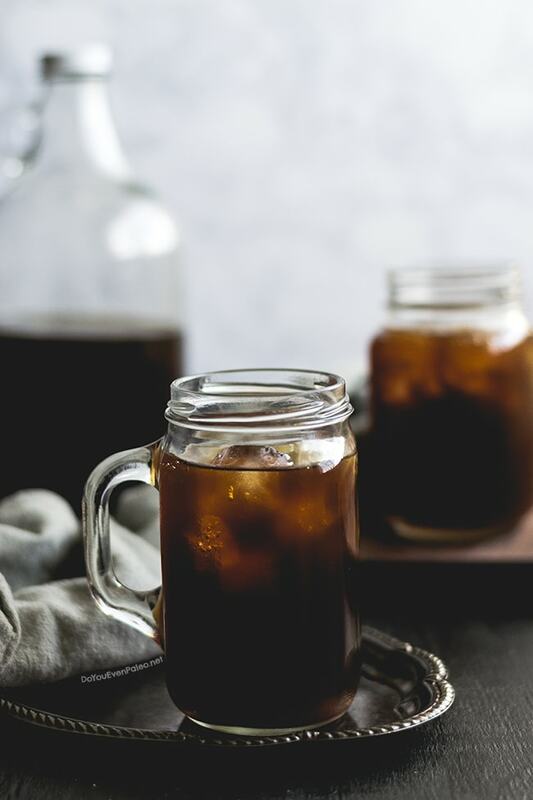 Cold brew is all the rage, with coffee shops and retailers selling “cold brew coffee kits” that are supposedly the key to making cold brew yourself. Save yourself the money. 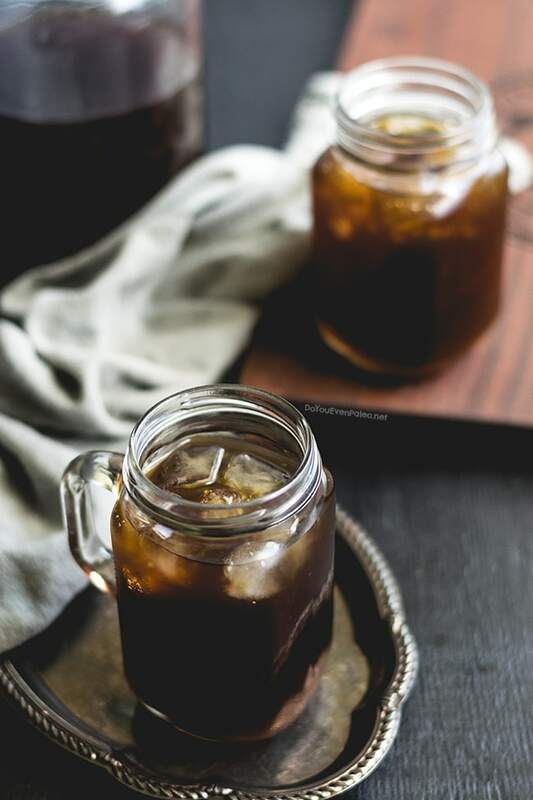 I’m going to show you how to make cold brew coffee at home. You likely already have everything you need…and if you don’t, the supplies are cheap. Seriously. Then, you’ll have the tools to make cold brew whenever you want! Well, it’s amazing. But you’ve probably heard a lot of people say that. I’m going to tell you why cold brew beats out iced coffee any day. You get to choose your own dilution. 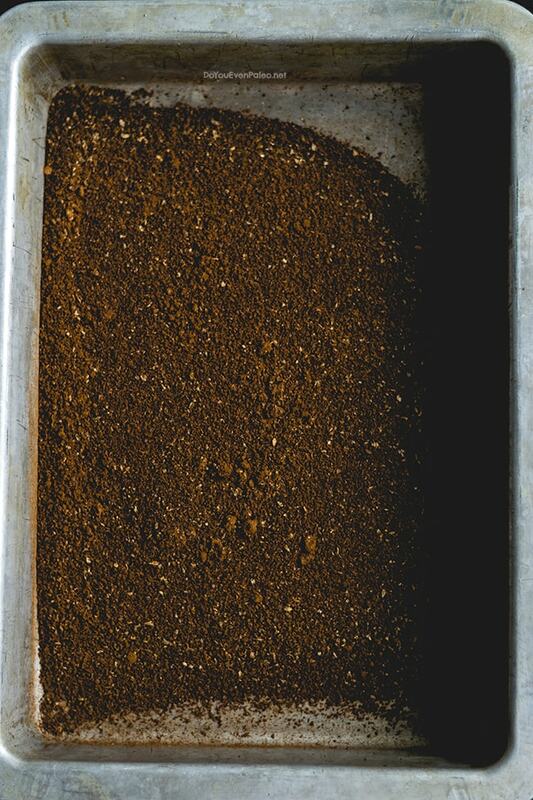 Below, I’ll tell you the ratio of coffee grounds to water that I use…but really, that’s my preference. The power is in your hands when you make your own cold brew. I’ve read some tutorials telling you to use up to a 1:2 ratio of coffee to water—I think that’s crazy excessive and wasteful of the coffee, but if you can really tell a taste difference then be my guest and roll with it! With iced coffee, you’re essentially taking hot coffee and throwing ice cubes in it. The ice cubes water it down and no one has fun. But cold brew is meant to be stored in the fridge and served cold. No watering down. YAY! It’s less acidic. Brewing with heat is what causes the spike in acidity with coffee. But since you’re brewing it at room temp with this method, the result is a smoother, less acidic brew. It’s not as bitter. I actually find cold brew to be slightly sweet in its own way. 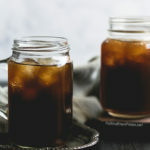 Cold brew coffee isn’t as bitter because you aren’t treating it with heat. Recipes. You can use it for all sorts of amazing coffee flavored goodies! Like my Mocha Avocado Cream Pie or Coffee Cashew Ice Cream. Or Chocolate Banana Coffee Popsicles (comin’ soon). YUM! Before we get into the thick of it, I want to make a disclaimer. This is how I make my cold brew coffee. I certainly don’t think it’s the be all end all of cold brew coffee! As I pointed out above, one of the nice things about cold brew is that you can customize it through the type of coffee you use and the ratio of grounds to water. If this is your first time making cold brew, this is a great place to start. But don’t be afraid to tweak things to fit your tastes down the road. First thing’s first, you’ve got to pick your coffee. You want medium to dark roast coffee, coarsely ground. This is important. REALLY important for good cold brew coffee. Honestly, the biggest mistake I see friends make with cold brew is starting out with subpar coffee (or too light a roast). I realize I sound like a huge coffee snob when I say this, but if you think your cold brew is going to be fine if you reach for a canister of pre-ground Folger’s, then you’ve come to the wrong place. Seriously, grab one of the pricier bags of coffee beans and grind it yourself. OR swing by a local coffee shop and pick up one of their roasts (most roasters will grind the beans for you if you ask). The coffee beans matter. One of my best pieces of advice beyond quality? Grab medium to dark roasts. 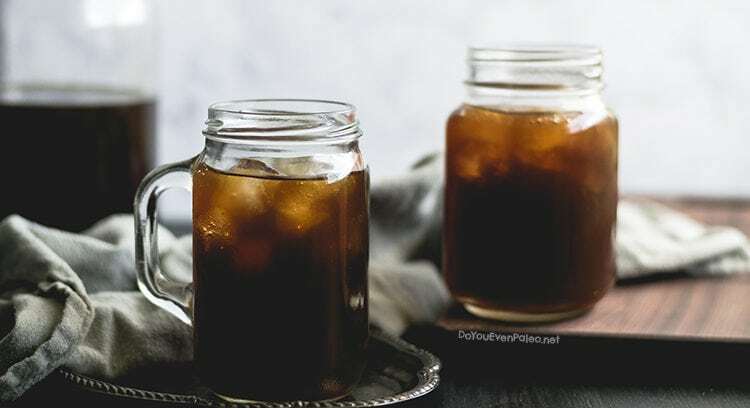 In my experience, light roasts just don’t make the same strength of cold brew—you either have to use significantly more grounds or suffer through watery cold brew. Cold brew is meant to be dark, smooth, and intense…you just won’t get there with light roasts. I save my light roasts for hot coffee. 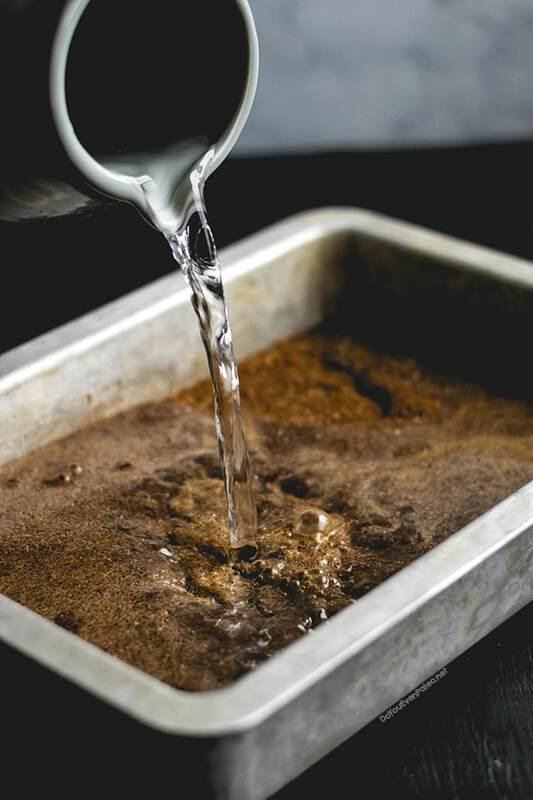 Once you’ve secured good coffee, add your coffee grounds to the cake pan and pour in the water. Stir to make sure everything gets mixed. The ratio I use? 3/4 cups grounds for every 4 cups water. 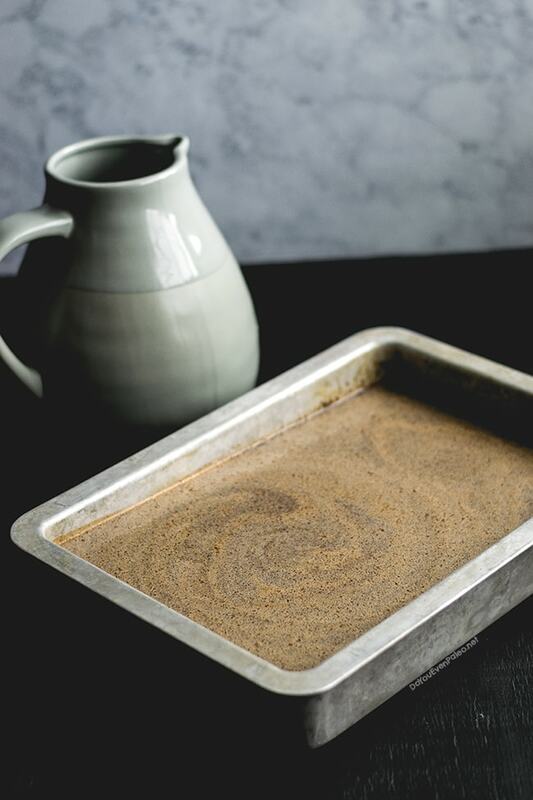 I often double this—a 9×13 cake pan is the perfect size for a double batch! Then I cover the cake pan with a large cutting board with a dish towel draped over it (otherwise the dish towel will droop and soak up the cold brew). Obviously, use a cover if you have one! I leave this out at room temperature for about 12 hours but no more than 15…too long and it can get bitter! Why a cake pan? Okay, I’ll admit, I don’t know if this is true…an old coworker told me about it. According to him, since the grounds are more spread out in a cake pan, the water can more easily penetrate them. If you put the grounds in a jar or pitcher to brew them cold, the grounds will settle at the bottom, right? So the grounds at the very bottom, under the other grounds, have less of a chance to get all cozy with the water—that’s why some tutorials will tell you to periodically shake the jar/jug/pitcher you’re brewing it in. The cake pan approach circumvents that. So I tried this coworker’s method and liked it, and I’ve been brewing my cold brew this way ever since! Next, I pour the brewed cold brew through my nut milk bag and into a growler to separate the grounds. If you’re only making 4 cups, you could easily store your cold brew in a quart-sized mason jar. Into the fridge it goes for a chill—then I can use it for anything! Cold brew stays fresh when stored in a sealed container in the fridge for up to 2 weeks. How’s that for easy? Now, I have homework for you! Hop in the comments and tell me how you brew your cold brew. Plus, tell me your favorite way to drink it or use it in another recipe! 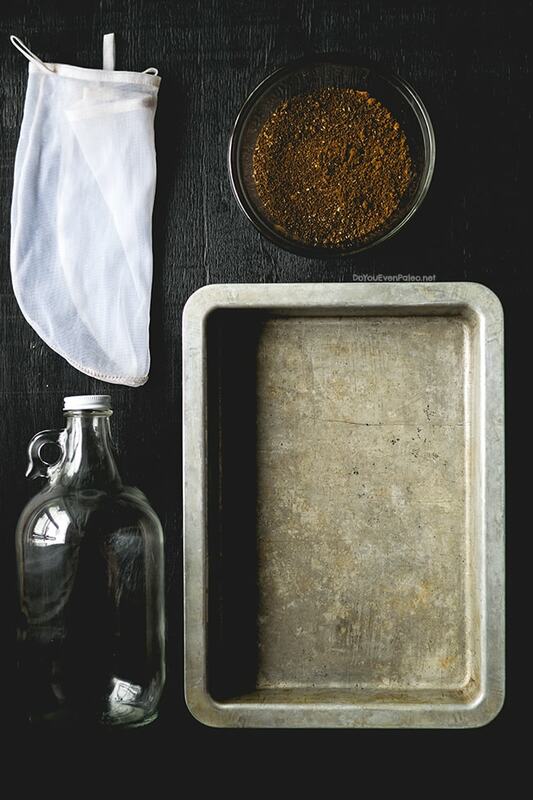 Spread coffee grounds out on the bottom of a 9×13 rectangular cake pan. Pour water overtop and stir gently. Cover the cake pan (so nothing finds its way in your precious cold brew!) and let sit at room temperature for 12-15 hours. Don’t brew too long or it can get bitter! 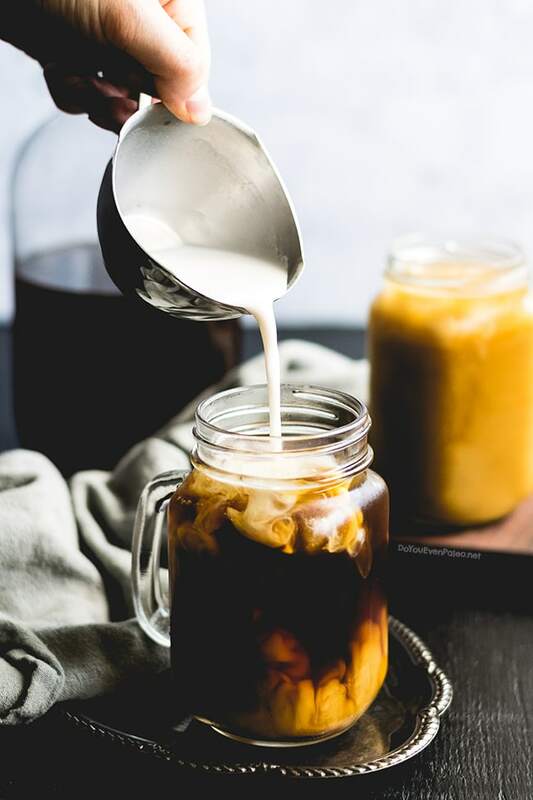 Pour the cold brew out of the corner of the cake pan through a nut milk bag or a double layer of cheesecloth to separate the grounds. Store your cold brew in a jar, pitcher, or growler in the fridge for up to two weeks. I’m going to have to try using fine ground coffee! I’ll admit that the only reason I’ve used coarse grounds is due to practically every tutorial I’ve stumbled across specifying coarse grounds. Never tried fine. 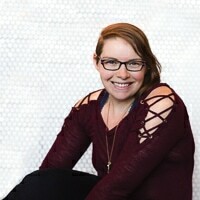 I’m so glad you commented – now I get to try something new! Don't subscribe All Replies to my comments Notify me of followup comments via e-mail. 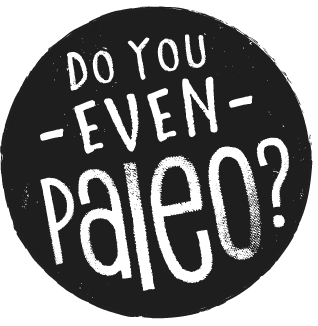 You can also <a href='https://www.doyouevenpaleo.net/comment-subscriptions/?srp=2732&srk=87505361eee98908ddf6ccb8681f50d6&sra=s&srsrc=f'>subscribe</a> without commenting.